What a month! Last month felt like a whirlwind, and sure enough, in glancing at the calendar we had over 30 significant meetings, conversations and events, not to mention everything other members of our ministry team have been up to. Yesterday, I had the opportunity to give an overview of our ministry at our church’s Day of Prayer. Although challenging, boiling down our recent work to just three minutes helped me gain a deeper sense for what God is doing through us. I’d like to share the heartbeat of those reflections with you here. More than anything, God keeps reminding us that His vision is far bigger, and more glorious, than ours. We’re coming to see that aiming any lower than the Great Commission is too low. With 20% of the nation’s physicians doing some portion of their training in the city, ministering faithfully right here is the most strategic investment we can make. As we train our healthcare students and providers to follow Christ, some will stay and transform the city, while others will go and spread the Kingdom wherever they land. This vision is powerfully shaping our day-to-day ministry as we place greater emphasis on ministry that multiplies. We want to reach people who will, in turn, reach others. One way we’re doing this is through our relationship with the International Saline process, which trains healthcare students and workers to share their faith with their colleagues and patients. You get the idea. This is how multiplying ministry works. We train others, then come alongside them as they learn how to train others. It starts small – nearly inconspicuous – then explodes over time. This is how Jesus transformed the world, and this is how we’ll transform Philadelphia and beyond. After hearing that we are funding entirely by donations, a lot of people ask us, “What are your ministry needs?” While we do have financial needs, I always respond by saying that our greatest need is for like-minded people to join us in accomplishing Christ’s vision for our ministry. Like Jesus said, “The harvest is plentiful, but the workers are few. Ask the Lord of the harvest, therefore, to send out workers into his harvest field.” What we need, more than anything, are people who know Jesus and want to join Him in His mission right where they are. And so, wherever I go – whether it’s meeting a physician, attending a large-group gathering of students, or participating in a medical outreach – I’m always asking God to introduce me to people who can become (or already are) co-laborers in this city that He loves. I know that, by His grace, I can serve as someone who connects them to that larger vision of winning this corner of the Kingdom for Him. I met “Tom”, one of the students I mentioned earlier, at Drexel when I attended one of their campus fellowship gatherings two years ago. Although his first year at Drexel was challenging, he became one of our campus leaders during his second-year, where he has really stepped up to become an unassuming, but committed, leader. I am privileged to meet with him consistently and to invest in him during this critical season. Tom has become an important co-laborer, and our ministry exists to find, and equip people like him! Sharon and I, once again, want to deeply thank you for your prayers and gifts that make ministry like this possible. In God’s hands, your investment is reaping dividends that will be fully revealed only in eternity. Praise God for an enormously fruitful past month of ministry, and for the privilege of reaching the key ‘people group’ of healthcare students so that they, in turn, can be equipped to reach others. Praise God for Dr. Jerry Hric, our newest council (board) member. He brings gifts in the areas of big-picture thinking and student ministry, and, like all our council members, I feel blessed to partner with him. 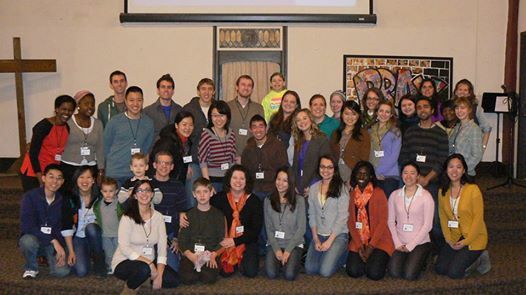 Please pray that the Lord continues to introduce us to ‘game-changing’ students who can pour their lives into others. Pray for me, and the others I mention above at Drexel, as we introduce the Saline process there. Pray especially that God brings others who will want to train others. Pray also that God would give me wisdom as I help several campuses with their student leadership transitions. Pray for our men’s (26th) and women’s nights (25th) this month, meeting in our home. Since we came on board with MCO last summer, most of our newsletters have given glimpses of this ministry and its vision, but this friend’s question made us realize that perhaps it would be helpful to give you a bigger picture of the vision of this ministry, and our role within it. Q: What is Medical Campus Outreach’s (MCO) vision, and why is it so important? A: Our vision is for “building laborers on the medical campus for the glory of God”. We endeavor to come alongside the medical students, nurturing believers to greater maturity in Christ while equipping them to reach out to others with the gospel. Our focus is on reaching out to the five medical campuses located in Philadelphia, as a strategic way to reach the entire field of healthcare. What makes this a strategic investment? 1. One-in-five physicians nationwide will come through Philadelphia for some portion of their training. This means that by reaching medical campuses in Philadelphia, we are reaching the nation for Christ. 2. Healthcare professionals play a critical role in their patients’ lives. Since medical personnel often relate to their patients at moments of crisis and spiritual receptivity, it is vital they be “always be prepared to make a defense to who asks [them] for a reason for the hope that is in [them] (1 Pet. 3:15)”. 3. Various pressures make living a life of faithful discipleship in medicine exceptionally hard. MCO exists to come alongside future healthcare professionals to remind them that it is possible to maintain a vibrant life in communion with Christ and other believers. Q: How do you carry out this vision? A: We carry out our vision in two main ways – in our ‘everyday’ ministries at the medical campuses, and through our more infrequent, “critical events”. ▪ recruiting volunteer staff members to come alongside the campus leaders at each school, offering guidance as they make important decisions, including how to reach out to non-Christians in their midst. ▪ discipling, or mentoring, students so that they, in turn, can disciple others. ▪ connecting campus leaders with quality speakers for their large-group gatherings, sometimes providing the teaching ourselves. ▪ supporting and/or hosting bible studies for the students. ▪ connecting students with other medical professionals for their encouragement and growth as healthcare providers. ▪ “Citywides” – Once each semester, we hold these events for the five medical schools. 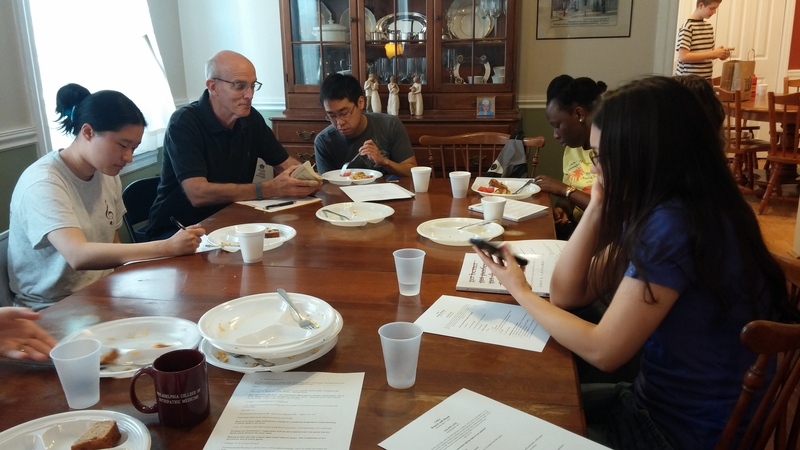 Some citywides are intended to provide times of fellowship among Christians medical students and teaching on a topic concerning the intersection of faith and medicine. Others are geared toward outreach, giving a place for the Christian viewpoint to be heard on a given “hot topic” in medicine, for example. ▪ Winter Conference – Held each year over Martin Luther King, Jr. Weekend (mid-January), this conference is like an extended, in-depth citywide where we explore more deeply an issue of medical discipleship. This is also a vital time of refreshment where students reconnect with their peers before beginning another intense semester. The conference has grown to draw attendees from up and down the eastern seaboard—last year we had a crowd of about 300! ▪ Summer Medical Institute (SMI) – Without a doubt, this is the most important thing we do all year. For the month of July, we take 30-40 students on a medical missions trip to Texas and Mexico. There, they conduct medical outreaches in both locations, learn how to share the gospel with their patients, receive in-depth teaching on being a Christian healthcare professional, experience transforming life in community, and learn from the example of visiting medical faculty. Q: What is your exact role within this vision? MCO has only two full-time positions: a director (me) and an administrator. Therefore, I have various levels of involvement with all the ministry aspects described above, including everything that is required to see them carried out. Of the various ‘hats’ that I wear, I enjoy discipleship with our staff and students, teaching, and planning for MCO’s future the most. As we finish the support-raising process, I will be able to devote more time to these roles. This, then, is who we are and what we do. We hope that this update gives you a fuller picture of the exciting vision God has given us for ministry to medical students in Philadelphia. As always, please accept our most heartfelt thanks for your love, prayers, and support! P.S. – We also wanted to update you on our support-raising efforts. At this time, we need to raise about $750/month in new support. To keep moving forward, our greatest need is to meet others who may want to hear about our ministry. Please let us know if you can think of anyone we might connect with to share our vision!